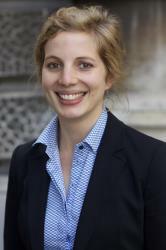 Natasha Simonsen is a Rhodes Scholar at the University of Oxford. Previously, she worked as a consultant for UNICEF and has interned with the United Nations High Commissioner for Refugees in Pakistan. Earlier this month, the Grand Chamber of the European Court of Human Rights handed down its decision in Gäfgen v Germany. The case raised the classic ‘ticking time bomb’ scenario that features in moral philosophy seminars the world over, forcing the Court to confront the question: is torture is ever justified? Although the Court’s rhetoric emphasised the absolute nature of the prohibition on torture and inhuman or degrading treatment, that was not borne out in the result, with the majority finding that the admission of evidence obtained as a direct result of inhuman and degrading treatment did not compromise the fairness of the applicant’s trial. The tragic facts of the case are as follows. The applicant lured a 12 year old boy to his Frankfurt apartment and suffocated him, disposing of the body beside a lake and issuing a ransom demand to the boy’s parents. Gäfgen collected the ransom, and was arrested attempting to flee from Frankfurt airport later that afternoon. He told police that the boy was alive and being held by two other (fictional) kidnappers in a hut by a lake, but repeatedly refused to disclose the location. Believing the boy’s life to be in grave danger, and in the face of the applicant’s continued resistance to police questioning, the next morning the Deputy Chief of the Frankfurt police authorised Officer E to threaten Gäfgen with considerable pain, and to inflict that pain if necessary. The infliction of pain on the applicant was to occur under medical supervision by a specially trained police officer who was en route to Frankfurt in a helicopter at the time. The authorisation was fully documented in the police file, and was taken in defiance of explicit orders to the contrary by superiors. Gäfgen also alleged that he was pushed in the chest several times, shaken so that his head hit the wall, and that he was threatened with sexual abuse. The Grand Chamber did not find these additional facts to be established beyond a reasonable doubt, although they did accept that threats to inflict considerable pain on the applicant had been made and that officer E had the intention to carry them out. A mere ten minutes after the threat, Gäfgen made a full confession and admitted the boy was dead. He agreed to take police to the lake where he had hidden the body (on the condition that officer E was not present). He reiterated his confession on several subsequent occasions. The applicant’s confessions were excluded from the evidence at trial, but the “real” evidence which was obtained as a result of the confession (in particular, the boy’s body) was admitted (the so-called “fruits of the poisoned tree”). On the second day of the trial, after having been informed that none of his previous confessions were admissible against him, but having lost his application to exclude the real evidence, Gäfgen gave a partial confession in the witness box. At the conclusion of the trial he made a full confession, citing his remorse and desire to take responsibility for the crime. He was convicted of murder and kidnapping with extortion and sentenced to life imprisonment. The decision considered two issues: first, whether there was a violation of Article 3 of the European Convention on Human Rights (“No one shall be subjected to torture or inhuman or degrading treatment or punishment”), and second, whether there was a breach of the applicant’s right to a fair trial under Article 6. It was common ground in the proceedings that the threat of infliction of considerable pain against a suspect in police custody breached Article 3 of the Convention. However, the Court’s established case law from the 1978 case Ireland v UK draws a hierarchical distinction between “torture” and “inhuman and degrading treatment.” Arguably, this hierarchy has no foundation in the text of the Convention, since Article 15 says that no derogation is permitted from any part of Article 3. It is not at all clear that the text of the article can support the hierarchy between torture and inhuman and degrading treatment which the Court has been minded to maintain. Regrettably, this distinction was subsequently adopted in Articles 1 and Article 16 of the 1984 Torture Convention. On the question of whether the treatment constituted “torture” or merely “inhuman and degrading treatment”, the Grand Chamber set out a shopping list of relevant factors, including: the duration of the threatening treatment (ten minutes), the applicant’s “fear, anguish and mental suffering” during that period, the apparent absence of any long-term psychological consequences, the intentional and premeditated nature of the threat, and the fact that the applicant was handcuffed in police custody at the time the threats were issued and therefore in a particular state of vulnerability. In the Strasbourg Court’s characteristic manner, it simply listed those factors and then arrived at its decision—that that the treatment was “inhuman and degrading” but not “torture”—without explaining which factors were decisive in that assessment and why. Since many of the same conclusions could be drawn with respect to waterboarding, does the Grand Chamber’s decision carry the implication that waterboarding too should be regarded as inhuman and degrading treatment rather than torture? The Court’s failure to fully explain and justify its conclusion that the treatment qualified as “inhuman and degrading” but not “torture” is especially problematic given the potentially far-reaching consequences which attach to that distinction. According to Article 15 of the Torture Convention, statements obtained by torture must not be given in evidence in criminal proceedings, whereas the same result does not necessarily follow if the treatment is “merely” inhuman and degrading. Indeed, the Court’s own precedent in Jalloh v Germany extends the importance of that distinction by declaring that the admission of any evidence—whether in the form of a confession, or items of real evidence—which had been obtained by torture would render a subsequent trial unfair (at para. 105). These and other issues were considered at length by the House of Lords in A v Secretary of State (No 2), a case which was not referred to by the Grand Chamber. In light of the significance of the classification of particular conduct as “torture” or “inhuman and degrading treatment”, the Grand Chamber’s analysis on this point leaves much to be desired. This may alleviate concerns raised by the Grand Chamber’s assertion in its earlier case of Jalloh v Germany that the seriousness of the offence may be relevant to the determination of whether particular treatment amounted to a violation of Article 3, and in turn whether the admission of evidence obtained in breach of Article 3 would violate Article 6 (see paras. 77 and 107 of Jalloh, and the excellent case comment by Andrew Ashworth at (2007) Crim LR 717). That case concerned the forcible administration of emetics to a small time drug dealer. The Court held that Article 3 had been violated, but its reference to the seriousness of the offence in this context may be read to suggest that if a drug baron or “king pin” had been involved, the treatment may have been justified. This alarming assertion led Judges Wildhaber and Caflisch in dissent to observe, aptly, that “the majority appears to value the health of large dealers less than that of small dealers.” Moreover the Jalloh Court left open the possibility that if the public interest in securing the applicant’s conviction had been greater, it might have warranted the evidence being used at trial (para. 107). This runs directly counter to fundamental precepts of human rights law—surely the need for scrupulous adherence to fairness does not decrease as the seriousness of the offence increases—if anything, the reverse should be true. The fact that the Grand Chamber in Gäfgen eschewed reference to factors such as the seriousness of the offence or the public interest in conviction may therefore reflect a promising return to principle, after its unfortunate foray in Jalloh. Returning to Gäfgen, the German government had argued, and the Chamber had accepted, that notwithstanding the threat in breach of Article 3, Gäfgen could no longer claim to be a victim as required by Article 34 of the Convention. This was because the proceedings in domestic courts had acknowledged the breach of Article 3, the confessions obtained thereby had been excluded from evidence at Gäfgen’s subsequent trial, and the two police officers had been convicted of criminal offences and transferred from police investigatory duties. The Grand Chamber overturned the Chamber’s finding on this issue, holding that the applicant had not received sufficient redress such as to lose his victim status. The responsible police officers had been convicted of coercion and incitement to coercion, but subjected only to fines (and even those were suspended) and although they had been transferred to other police duties not involving the investigation of offences, one officer had actually been promoted to head of a department at police headquarters. Additionally, the Grand Chamber observed that compensation is normally required to provide redress for a breach of Article 3, and that the failure of domestic courts to make a final decision on the award of compensation meant that the authorities had “not reacted adequately and efficiently to the breach of Article 3 at issue” (para. 127). Gäfgen had also argued that redress for the violation could only have been granted by the exclusion at trial of all items of evidence obtained as a direct result of his pre-trial confessions, including real evidence (the results of the autopsy conducted on the child’s body, and tyre tracks matching the applicant’s car which were found at the lake where the body lay hidden). The Grand Chamber declined to resolve this issue, holding that it was not necessary to decide whether redress for a breach of Article 3 necessitates the exclusion of all evidence obtained as a result of the breach. The Court preferred to address this issue in the context of Article 6, below. The Grand Chamber affirmed the Chamber’s findings that there was no breach of the applicant’s right to a fair trial under Article 6 of the Convention. In this respect, two points are significant. First, the Grand Chamber agreed with the ordinary chamber that all of the pre-trial confessions were tainted by the continuing effect of the inhuman treatment, but that there was no issue with the admission of the two confessions which Gäfgen had made during the course of the trial. The domestic court’s exclusion of the pre-trial confessions, and the pre-trial caution administered to the applicant regarding his right to remain silent, had broken the chain of causation such that the inhuman and degrading treatment could no longer be regarded as operative. The Strasbourg court wanted to have its cake and eat it too. Despite laying down this general rule, it went on to hold that the rule would not apply if the admission of the evidence in question had no bearing on the outcome of proceedings, and then to declare that Gäfgen fell within the scope of that exception. It is true that the Frankfurt AM Regional Court had declared that the conviction was wholly based on his subsequent confession at trial, along with untainted real evidence. But the applicant had also argued that the admission of tainted real evidence at trial was what prompted his confession. Admittedly this argument was undermined by the fact that he had argued at trial—and in a subsequently published memoir—that he had confessed solely out of remorse for the boy’s family. Undoubtedly the untainted evidence, such as the ransom money and a note concerning the planning of the crime found in the applicant’s flat, together with the police surveillance of his collection of the ransom, could have supported a conviction for kidnapping with extortion. However it is difficult to say with certainty whether, absent the child’s body, the untainted evidence alone could have sustained a murder conviction. It is equally difficult to say with certainty whether the applicant would still have offered a full confession if the items of real evidence had been excluded from his trial. In this respect the Grand Chamber’s findings that (1) the chain of causation between the inhuman treatment and the applicant’s confessions at trial had been broken; and (2) that the conviction was based solely on his confessions and not the tainted items of real evidence; are open to serious question. that irrespective of the conduct of an accused, fairness, for the purposes of Article 6, presupposes respect for the rule of law and requires, as a self-evident proposition, the exclusion of any evidence that has been obtained in violation of Article 3. The decision of the Grand Chamber in Gäfgen may be regarded as something of a mixed bag. On one hand, the Court’s clear statement that the seriousness of the offence was irrelevant to the questions of (1) the threshold for inhuman and degrading treatment; and (2) the fairness of the trial; may be read as putting some distance between its contrary (and highly problematic) assertion in Jalloh. On the other hand, the Court’s high-minded rhetoric about the absolute nature of the prohibition on torture and inhuman and degrading treatment is not borne out in the result, since it refused to hold that the admission of evidence obtained by inhuman and degrading treatment had rendered the trial unfair. Although the Court asserts that this case fell into an exception to an otherwise generally applicable rule, whether the exception will eat up the rule remains to be seen. The author would like to thank Dapo Akande for his comments on the draft of this post.